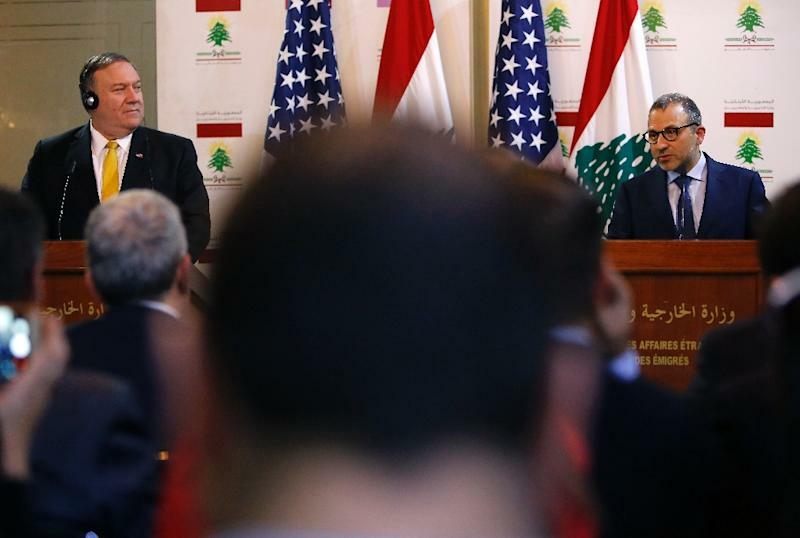 Beirut (AFP) - US Secretary of State Mike Pompeo on Friday urged Lebanon to pick a side as he visited the country on a regional tour to build a united front against Iran. His visit also came just hours after US President Donald Trump said Washington should recognise Israel's annexation of the Golan Heights, breaking with the policy of successive administrations as well as UN Security Council resolutions. "Lebanon and the Lebanese people face a choice: bravely move forward as an independent and proud nation or allow the dark ambitions of Iran and Hezbollah to dictate your future," he said during a joint news conference with his Lebanese counterpart. "The US will continue to use all peaceful means, everything at our disposal to choke off the financing, the smuggling the criminal network and the misuse of government positions and influence," by Hezbollah, he said. "We will not hesitate to call out those who actively and passively support those activities." Pompeo and Lebanon's Foreign Minister Gebran Bassil stood side by side at the new conference but their statements were contradictory. And a question and answer session with the media was cancelled "at the behest of the Americans", a Lebanese foreign ministry official said. Bassil he held "constructive and positive talks" with Pompeo but stressed that their were differences of perspective with regards to Hezbollah. "Hezbollah is a Lebanese party, not a terrorist group, and it enjoys a wide popular base," Bassil said. He stressed "the US government's strong concerns over the role of Hezbollah and Iran in Lebanon and the region and the risks this poses to Lebanon's security, stability, and prosperity", US deputy spokesman Robert Palladino said. 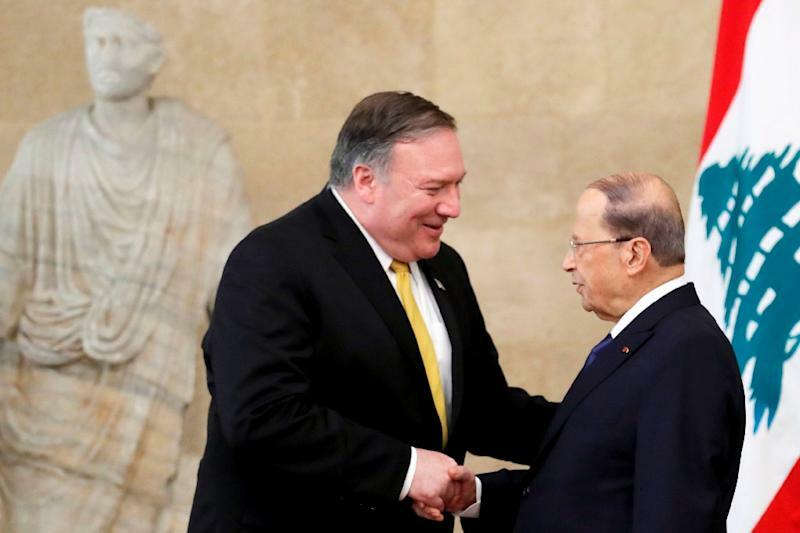 Pompeo also met parliament speaker Nabih Berri, who is himself a Shiite, and warned of the group's "destabilising activities" in the region. 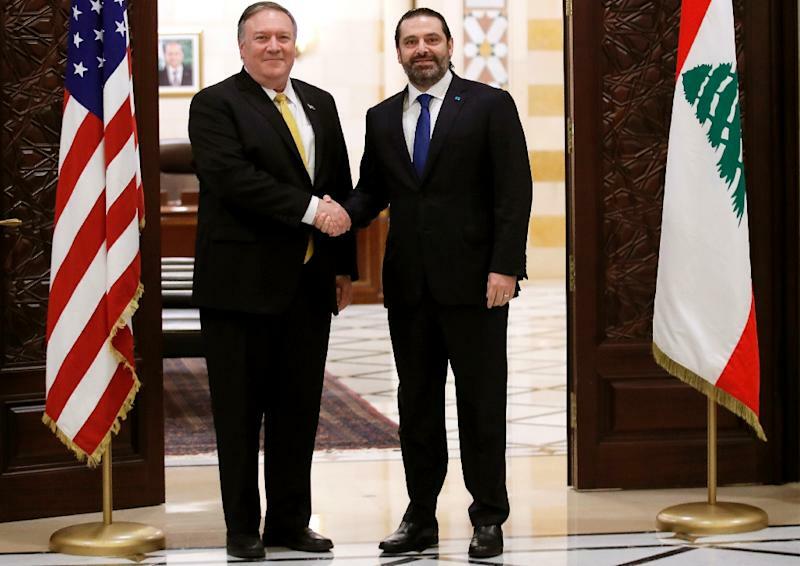 Pompeo and Prime Minister Saad Hariri discussed "the importance of the US-Lebanese security partnership and the need for continued support for Lebanon's legitimate state security institutions, particularly the Lebanese Armed Forces," Palladino said. In a meeting with Interior Minister Raya al-Hassan, Pompeo "discussed regional and internal security challenges facing Lebanon and how the United States can help support the interior ministry's efforts". The United States has branded Hezbollah, the only group in Lebanon that has not disarmed since its 1975-1990 civil war, a "terrorist" organisation and targeted it with tough sanctions. Hezbollah's cleric Ali Damush questioned the timing and purpose of Pompeo's visit during his Friday sermon. "What are the Lebanese expecting from America and its foreign minister after these two announcements that are totally biased in favour of Israel, except for inciting (Hezbollah) and turning Lebanese against each other? ".